When you donate to the Diabesity Institute, you are helping support our mission of increasing access to effective medical care for those suffering from diabesity by advancing the science of metabolism. The Diabesity Institute has a crucial role to play in this vital mission that can turn the tide on the diabesity epidemic. Medical practitioners need comprehensive training so they can better serve their patients suffering from, or at risk for, obesity and type 2 diabetes. We must support primary research to broaden our understanding of what is driving the increasing prevalence of metabolic disorders. The public needs to be educated about prevention strategies and the science of metabolism in an effort to reduce stigma, which contributes greatly to the suffering experienced by those with metabolic dysfunction. 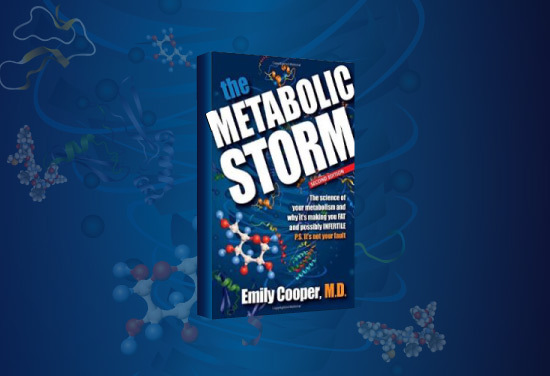 All proceeds from Dr. Cooper’s book, The Metabolic Storm, will go to the Diabesity Institute. Healthcare Provider Education Program (HPEP): The current demand for access to care for metabolic dysfunction is much greater than the available supply of trained healthcare providers. Our primary goal is to train healthcare providers in our community, and beyond, to recognize, diagnose, and effectively treat metabolic dysfunction. Community Outreach: The goal of the community outreach effort is to inform the public that a problem with their metabolism is a medical condition that is not their fault, that diets simply don’t work over the long term and that breaking the deprivation-diet cycle is critical for improving health. This knowledge will create demand for more effective medical care. Research: The DI research program is a ground-breaking effort focused on strengthening the scientific evidence base for the effective medical treatment of diabesity by referencing existing scientific research, publishing individual case reports and group outcome analyses, and curating primary research for further studies. Healthy Organization: A healthy organization is critical for our success. Flexible funding in this area goes towards our administrative costs (a very small percentage of our overall costs), and our fundraising and strategic development efforts. Any surplus will be directed to program needs that may fall short of their funding goals.